Hey there! You know how I always lean toward “non-solid” Solids, right? Well today’s post has some great examples of what I mean by that. 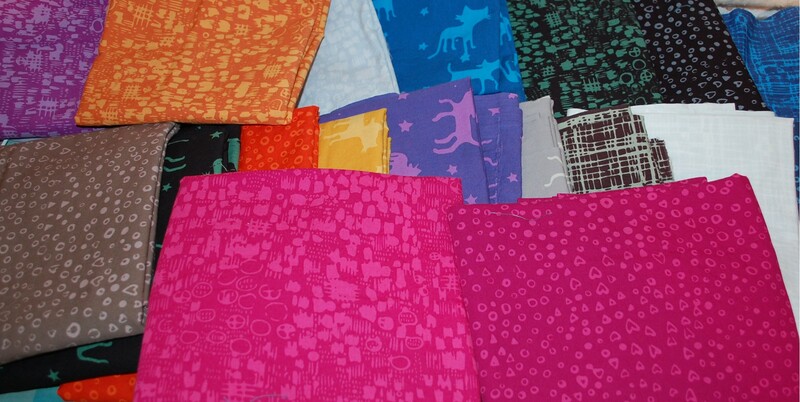 The fabrics below are by my friend Melissa Averinos for Me + You (a Division of Hoffman Fabrics). She named the line Yummies — a nod to her start in the blogosphere with her original blog “YummyGoods.” I have always, always, loved Melissa’s fascination with texture. There is so much texture in the world. I do share her adoration of peeling paint and rusty buckets. It is no wonder that I love Yummies so much. Here are more Indah Batiks from Me + You that are not by Melissa, but just as delicious! This is Aaron Hoffman’s seventh collection of these Indah Batiks. I think he already has the 8th Generation out there too. He keeps pumping them out! Check out my Instagram page and go back a few pictures you can see some variations of Amy Smart’s Funky Christmas Trees in these. Fat Quarter Shop has a bunch of Indah Batiks for sale here. I am not sure that Yummies is out there yet? I could not find any online yet. Hopefully Fat Quarter Shop will get some in when they can. So if you are already following me on Instagram you have seen the owl portion of the below quilt that I made for my youngest son Max’s girlfriend, Monea. 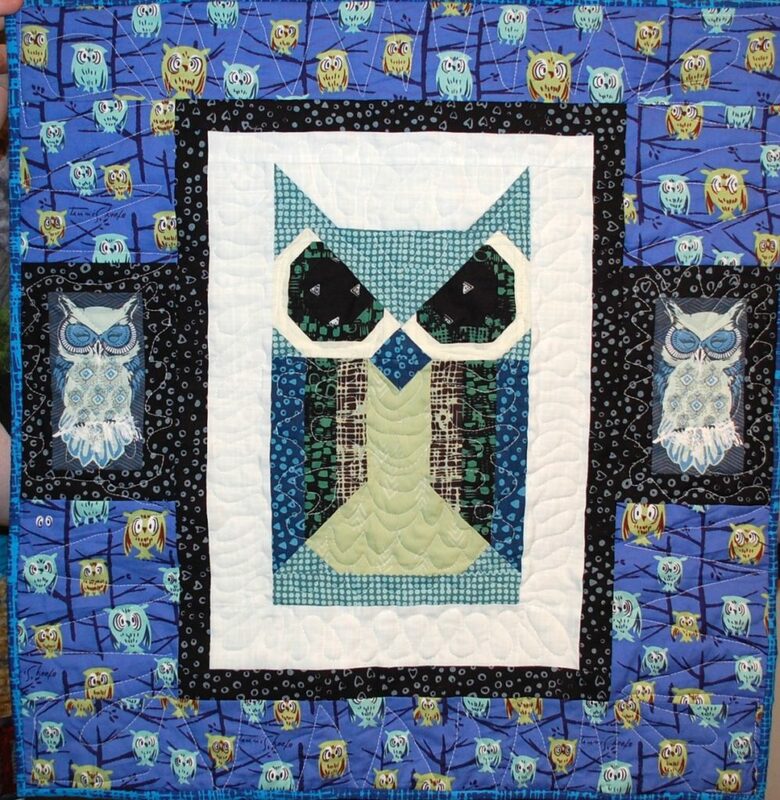 The main pieced owl is the Allie Owl block by Elizabeth Hartman, the pattern can be found here. The Non Batiks (i.e. Owl prints) are an old Tammis Keefe print from Michael Miller and a owl print from Art Gallery. 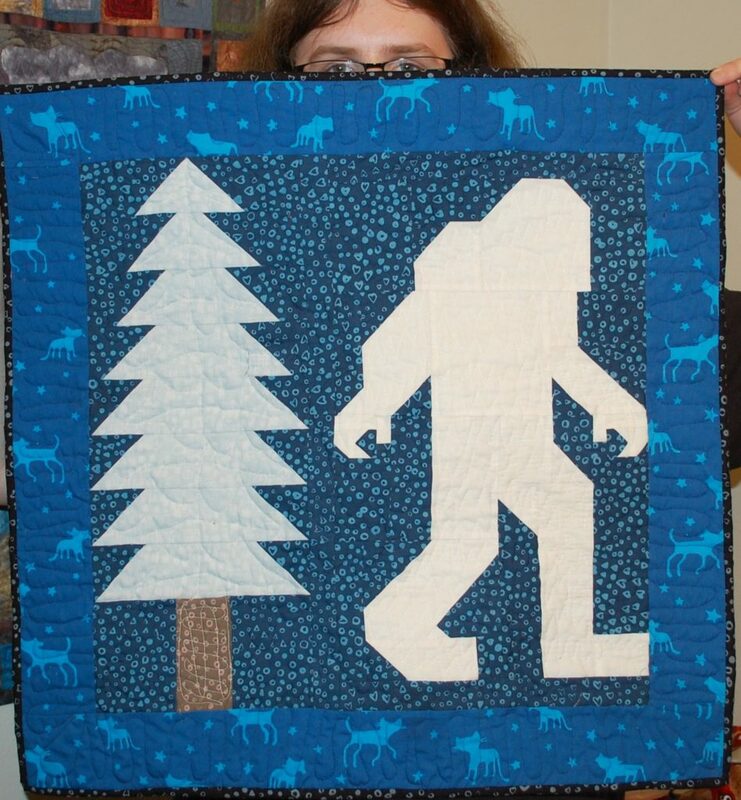 And then here is another design by Elizabeth, Legendary, done up all in Yummies as the Abominable Snowman as opposed to Bigfoot. This quilt was for Max. So that’s my little mini Celebration of Yummies and the Seventh Generation Indah Batiks. Want to win some scraps?? Okay so leave some comments about your late Christmas or other holiday gifts or anything about other woodland creatures that you want to share. I will pick a winner for a pile of scraps next week on Wednesday or so. Hi Scott! What absolutely fun quilts! I loved reading this post. Speaking of snowmen, I made one this week. We had perfect wet snow, great moonlight, and I couldn’t resist. This created a lot of stress for my dog though. As soon as she saw the creature through the window the next morning, she barked at it endlessly. I took her outside to see it and she approached it very cautiously, sniffed it, and backed off, growling and barking at it. I thought she would get used to it, but both inside and outside, she continued to bark at it. After two days, I finally disassembled it to give her and the whole family some peace. Thanks for sharing your photos and awesome scraps! We had a quilt retreat Jan 13-16th. There were at least 4 quilters working on Christmas themed quilts, determined to finish for Christmas 2017 (intended for Christmas 2016). I gifted 3 quilts for Christmas but I’m happy to report no last minute sewing. That’s a first for me! I didn’t do any holiday sewing this past Christmas after making 10 identical table runners the Christmas before! I haven’t been sewing since well before the holidays as my studio is in my basement and here in wisconsin it is COLD. I think I saw a snowman down there last time I checked. I can’t wait to try some of your patterns – love the blog!